Soon after I completed an advent calendar craft for our 3 children, a reader told me that she had seen a great advent calendar idea using books somewhere online. A couple of days later, I happened upon this Christmas Book Advent Calendar on the blog MADE. I loved this idea about having one wrapped Christmas book to read each day as a way to get children excited about reading. However, since I had already made an advent calendar and we do not have 24 Christmas books, I modified the idea to create a fun Christmas activity for counting down the last 12 days of Christmas instead. 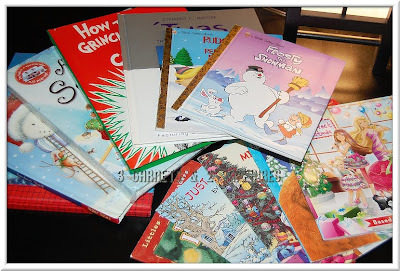 We had about 9 Christmas books in our home library, so I added 3 new ones to make a total of 12. One of the books we already owned was The Night Before Christmas, which will be reserved for reading on Christmas Eve. I wrapped all the books in one of two different wrapping papers, with the exception of that title, which was wrapped in a different paper to set it apart. 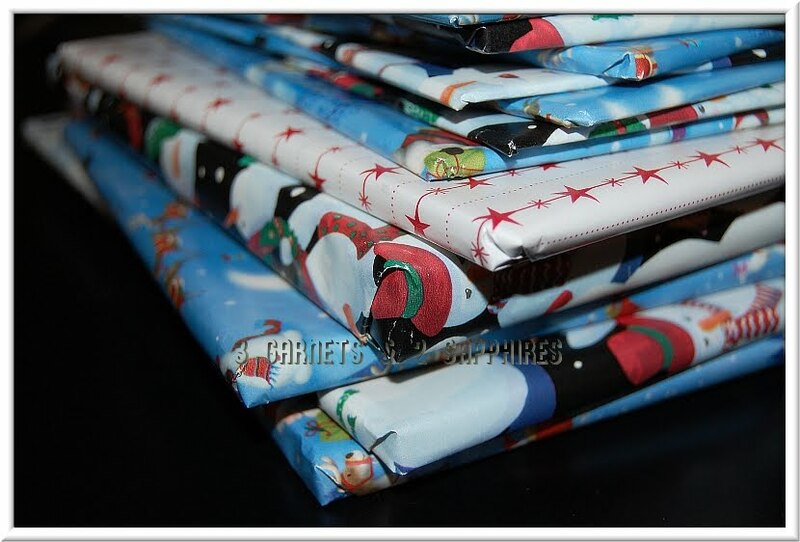 Starting on December 13th, one of the children will either choose a wrapped book out of the stack or reach into a bag and pull out a book blindly. I will let them choose which they would rather do. Then this book will be their bedtime story that night. The children will have to take turns choosing a book in rotation each night. If my children enjoy this activity, I will definitely repeat it next year, switching out a few of the books for new ones. After a few years, we might actually have enough books to do an advent calendar. Thanks for the inspiration Dana!